Welcome to the home of Fox Valley Hot Rods!!! 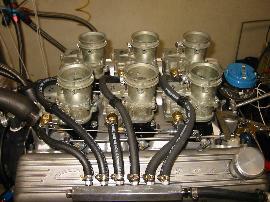 We are a full service Stromberg carburetor dealer and an authorized rebuilder. We have both brand new Stromberg carbs and good rebuilt carbs. 97's, 48's and 81's...we have them all. We also carry a complete line of new and used Stromberg parts and kits. We can help you with any Stromberg project. Along with Stromberg carburetors and parts, we also have a complete line of New Offy parts and intakes. If it's in the Offy catalog, ask us about it!! 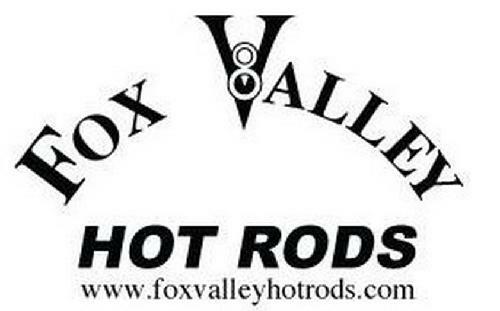 Fox Valley Hot Rods also offers our "Swap meet section". In here you'll find everything from ignitions to complete induction systems. W&H DuCoils, Mallory, Spalding, Vertex, Edelbrock, Edmunds, Weiand, Grandcor, Von Esser and many many more. This section can change weekly depending on what we get in. Check back often, or email us. We also take partial trades as payment, and as always...cores are welcome for a Stromberg rebuild. If you have something to sell, please give us a call. Please call 847-382-3089 with any questions. This is one of our latest creations. A 1932 Ford 5 window coupe. Built on 32 rails with Model A rear cross member to clear the quickchange. Custom fabricated center cross member and 32 front cross member. 49-53 Flathead engine. 4" crank with 3-3/8" bore. Spalding Flamethrower ignition. 3x2 Stromberg induction. Car now resides with it's new owner in Philly. Here's a 6x2 Chevy set-up we did for Rob Walton (Chaiman of the Board of Wal-mart). He has a vintage Chaparral race car and we went through all the carbs for him. Did all the final adjustments on an engine dyno. Here's a shot of a brand new Stromberg 97 carburetor. I have been using their parts for over a year now and can say that they are without question, the best on the market. You will not be disappointed. Please feel free to contact us about all your Stromberg needs. We take paypal!! !